Honda Pump WMP20 with easy-starting GX160 engine is specially-designed to pump industrial and agricultural chemicals. Equipped with EPDM seals and thermoplastic components, this multi-purpose pump is poised for ultra chemical compatibility and chemical resistance. 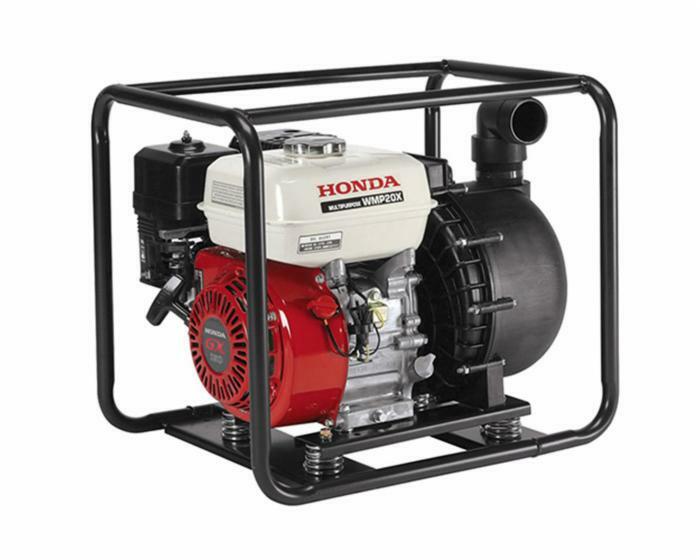 In addition, an isolation-mounted engine reduces pump vibration and increases durability, while a three-year warranty covers your WMP20 for years to come.